Start your business as an independent cleaner or upgrade it by establishing speed cleaning routines and investing in your own products and equipment. If you have plans to hire workers to do the cleaning for you, then you’ll want to start a professional cleaning business now as the framework for finding clients and workers. If you have already started your business and are having trouble getting customers, advertising, making a profit, setting your rate, landing more of the jobs you estimate, or are looking to invest in your own products and equipment, then you can benefit from one or more of these reports to tackle the issue(s). Add business operating forms and flyers to help your business grow. 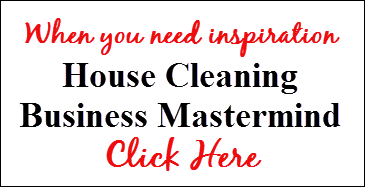 Now that you have your house cleaning business setup, help it grow and increase profits.